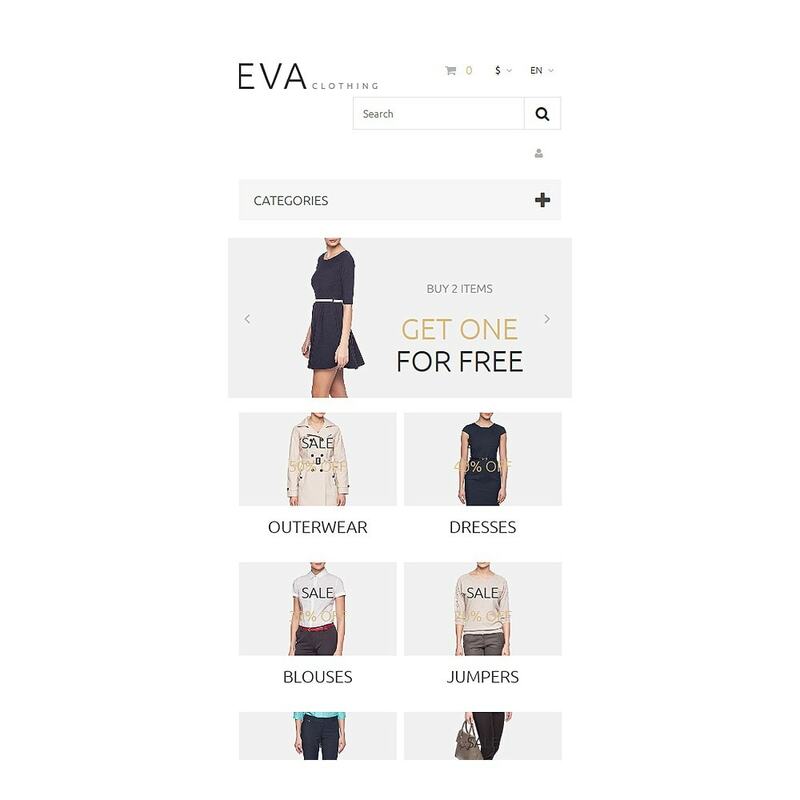 EVA Clothing is a top-notch PrestaShop theme for fashion and accessory online stores, whose owners seek to achieve sky-high conversion rates, and therefore, boost their income. 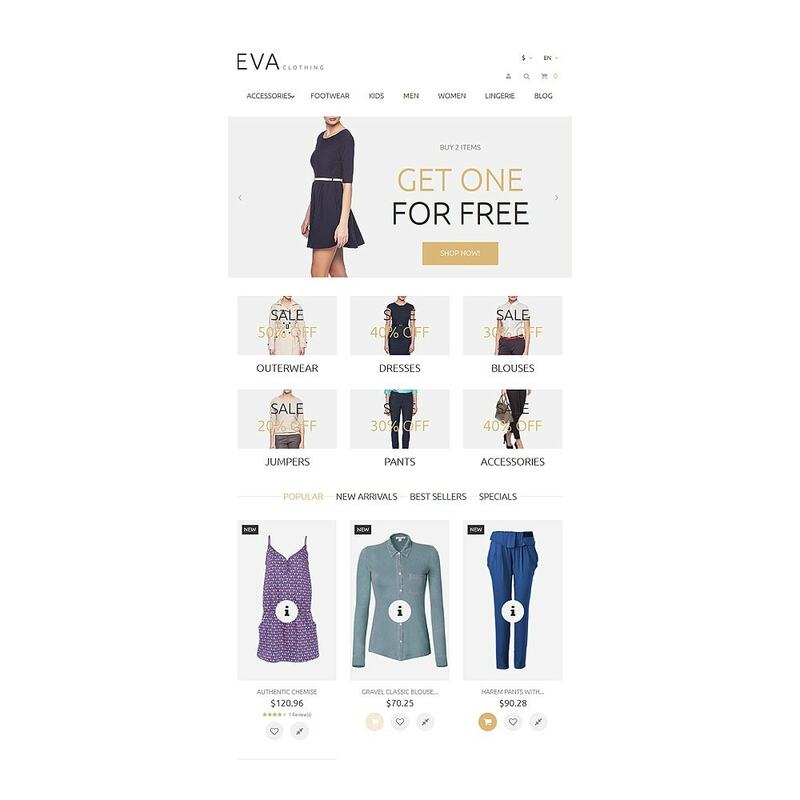 With EVA Clothing it's extremely easy, as its beautiful design is perfectly optimized to provide A-grade usability, and create a positive image for your eCommerce store. 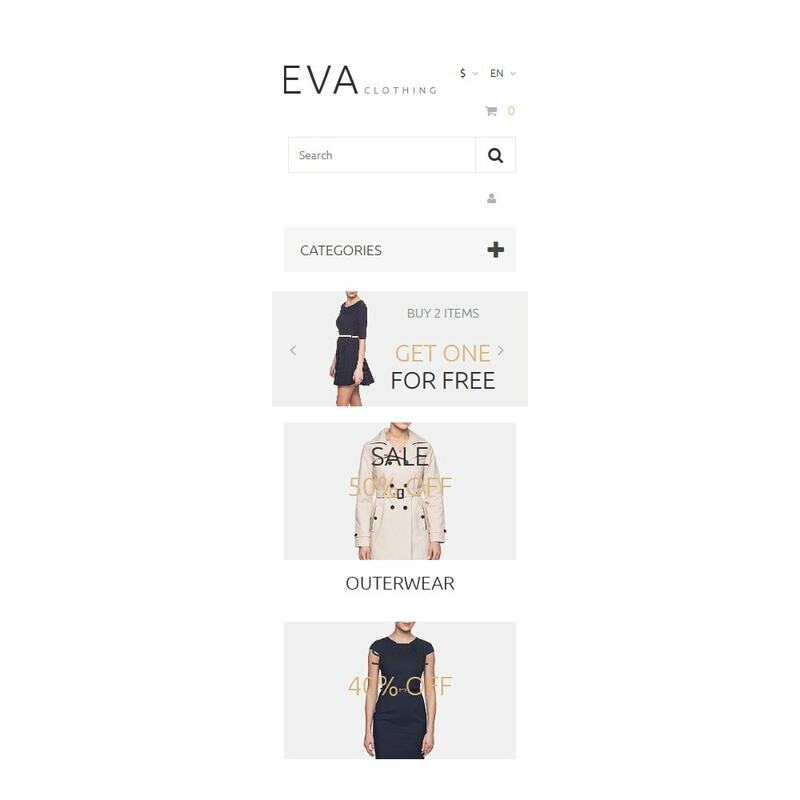 This theme is fully responsive, integrated with Google Maps, and supports all the most popular languages and currencies. 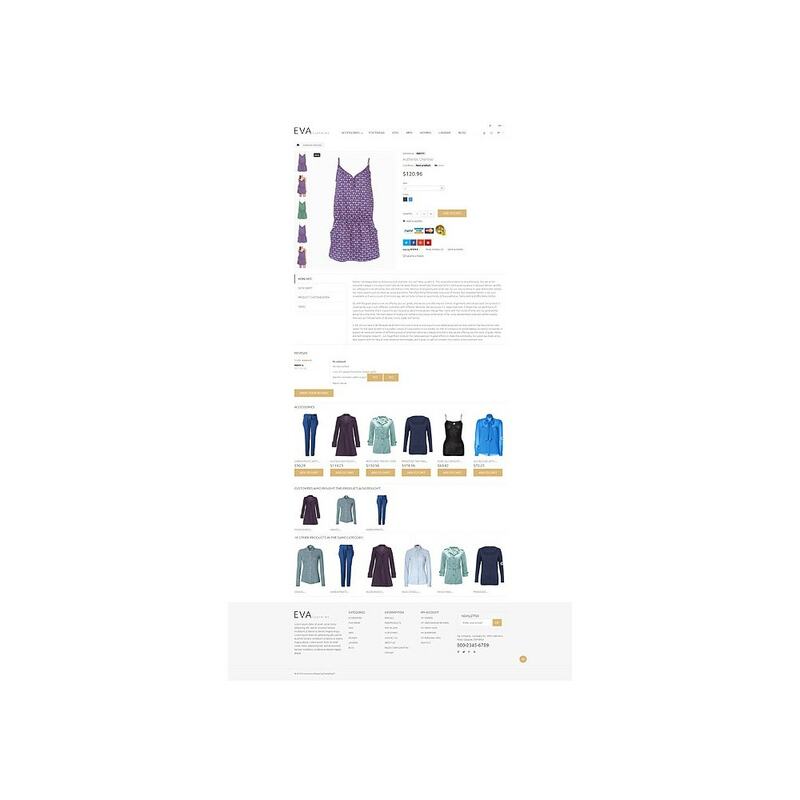 If you want to change your website's appearance, you can do it in seconds with the help of a built-in color and font picker. 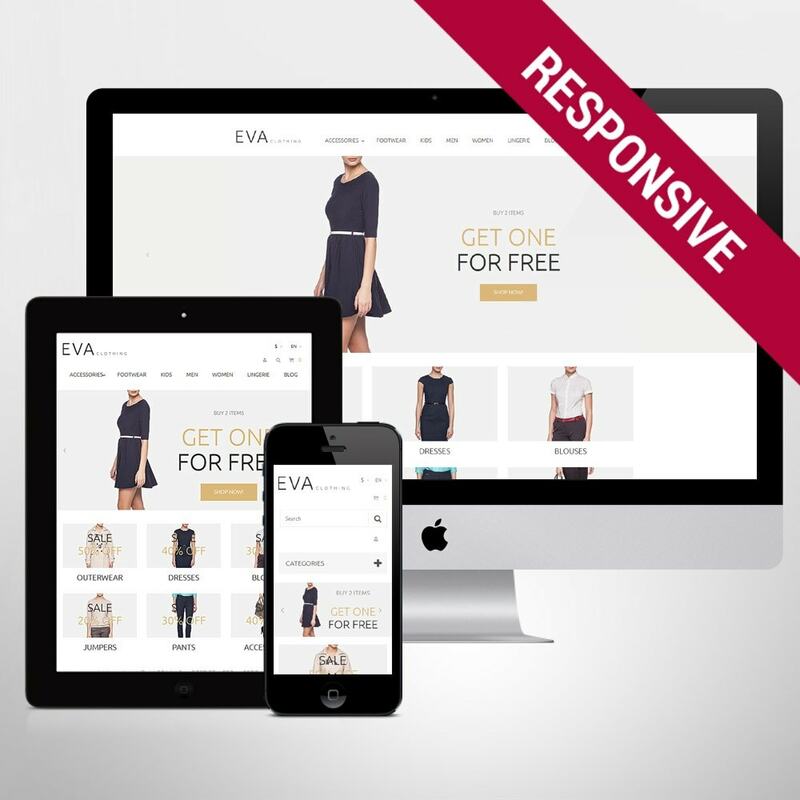 Use this responsive PrestaShop theme for Fashion, Beauty, Gifts, and Jewelry online stores.